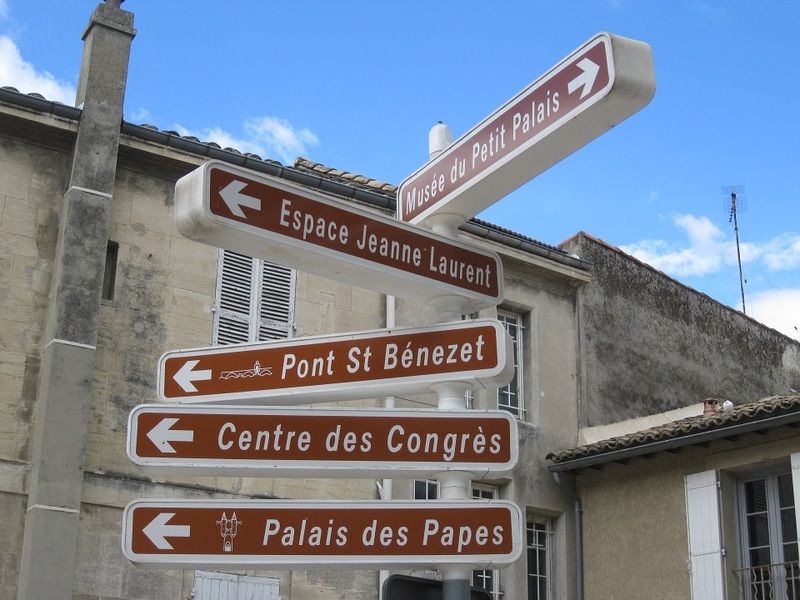 When I was in Avignon, France, I saw this sign and decided that I should try to see as many of these places as possible. The first place I went was to the Palais des Papes that was full of interesting rooms, nooks, and details on display. Here is some of what I saw. Later I decided to visit some of the shops in the same area. I liked the brightly colored fabrics and all the lavender items for sale. I purchased quite a few of the soaps and sachets to take home as souvenirs. These pictures include important shopping details! This entry was posted in Avignon, France, Travel and tagged Provence, shops, signs. Bookmark the permalink. Nice to have some directions to follow! I agree – that sign gave me lots of possibilities of places to see! They have very important information! What fun to just follow your nose (with a few suggestions from the friendly signpost). It was wonderful to have such interesting places to see in every direction! Merci – Avignon est très belle! I love the window image. Great sunlight capture, Meg! Thanks Amy – it was really sunny that morning! Love the built in window seats. I do too – they are really charming! Did you try them out and check the views? Another charming feature of old buildings; inner courtyards. Love them. Oh, Avignon, one of my most favorite places…..the escargot alone! Lovely post and photos! That’s what I like about noticing the details – they really provide insight into the past! Beautiful photos and story…I want a window seat like that one!! Well done. Excellent photos to an idea about Avignon. Thank you very much – it was a wonderful place to visit!